The term “family business” is thrown around quite often in the commercial world, but in the case of Greenwell Equipment it is perfectly apt. The team behind the Aberdeen-based company includes three different parents who have family members working alongside them at its base in the city’s East Tullos Industrial Estate. Richy Turnbull, who set up Greenwell 20 years ago and is the driving force behind its success to date, is one such parent. His two children, Mark and Julie, now run the day-to-day business at Greenwell. If “family business” conjures up the image of a small company, trotting along and snapping at the heels of bigger multinational rivals, it is here that the analogy falters, even though Mr Turnbull’s dog is kept in a kennel outside the office during working hours. Greenwell has been transformed from a second-hand furniture outlet into a firm that is heavily involved in two of Scotland’s largest infrastructure projects. 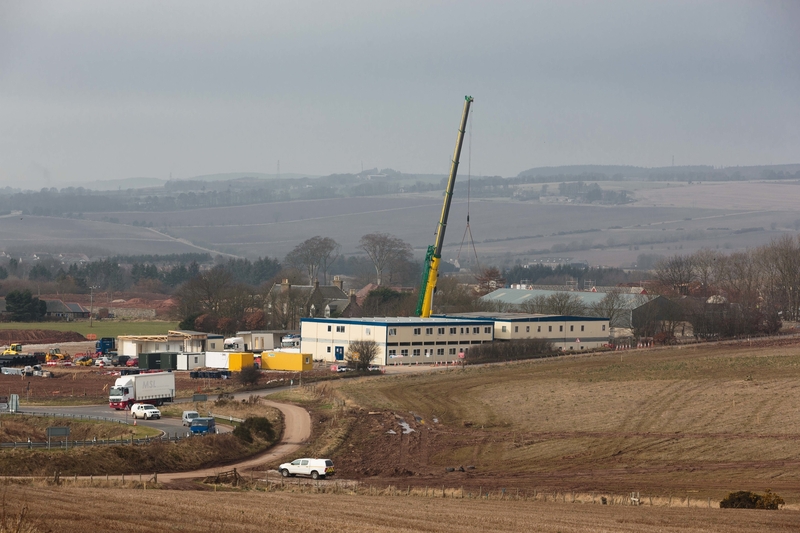 It has supplied more than 70 articulated lorry loads of modular cabins for office staff co-ordinating building of the Aberdeen city bypass, beating fierce competition from national big hitters to win the contract from Transport Scotland. The award was a great source of pride to Mr Turnbull, 66, who lives near the city bypass cabins on the outskirts of Stonehaven, his home for the past 18 years. “It would have annoyed me immensely if I hadn’t got it,” Mr Turnbull said, adding the site would give local business a boost. Now that Greenwell has overcome testing weather conditions to get the modular units in place, work has been created for more than 20 sub-contractors, including electricians, joiners and plumbers, who are refitting the units. 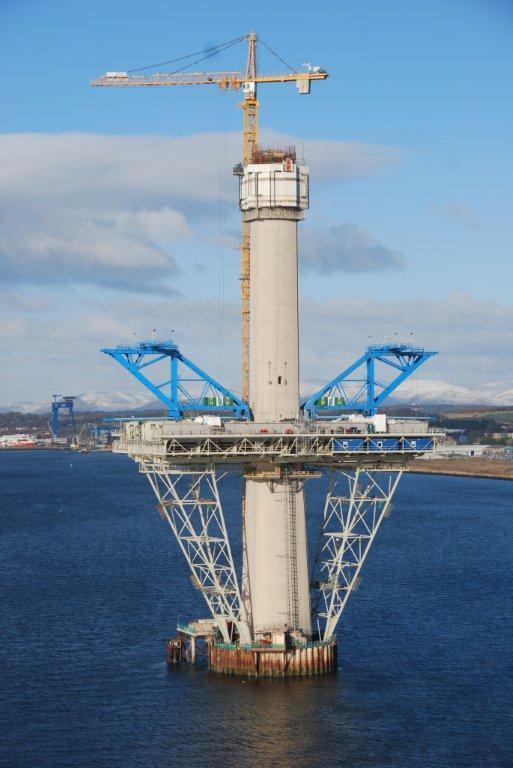 Greenwell is also taking part in the new Queensferry Crossing across the Firth of Forth, a project that takes Mr Turnbull’s career back to where it began. As a 16-year-old joiner building barracks in Rosyth for the Royal Navy in the 1960s, Mr Turnbull had a grandstand view of the road bridge’s construction. Half a century down the line, his company has supplied more than 200 cabins for the new bridge, which is slated to open at the end of 2016. Greenwell is now eyeing on a contract for putting temporary offices on the bridge sections that will be pushed out between the towers. 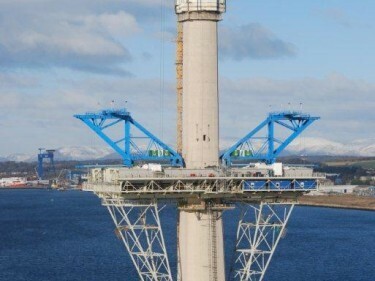 One of the Queensferry Crossing’s towers, with Greenwell’s blue accommodation units. 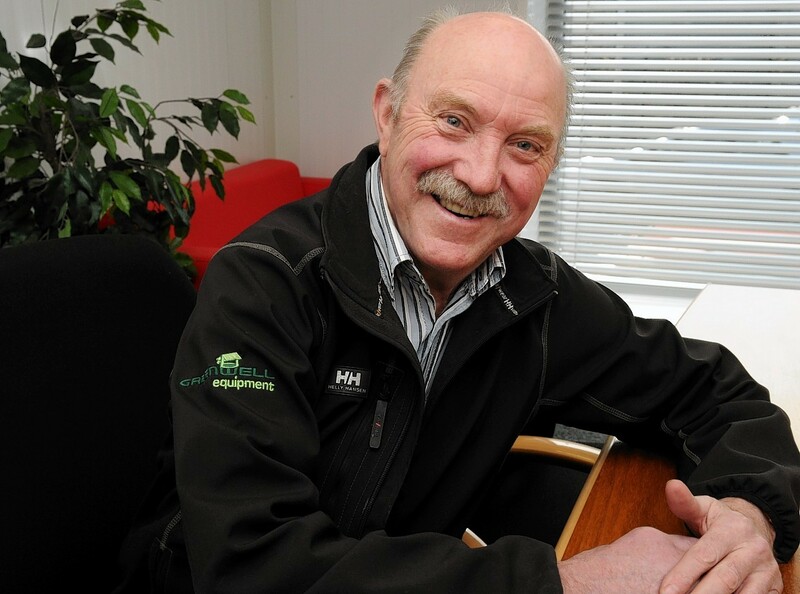 It is a success story for Mr Turnbull, who has had to pick himself up and dust himself down on more than once in business since he moved to Aberdeen in the 1970s. The company has moved on light years from its starting point. As well as modular cabins and furniture, it has a division for the rental and sale of containers, which it ships in from as far afield as China, before unloading them at a private rail siding at Tullos. 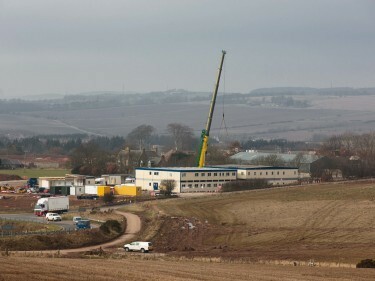 Greenwell also owns a significant amount of property in the industrial estate, some of which is rented out, and the company plans to open a new warehouse for its modular cabins in September.